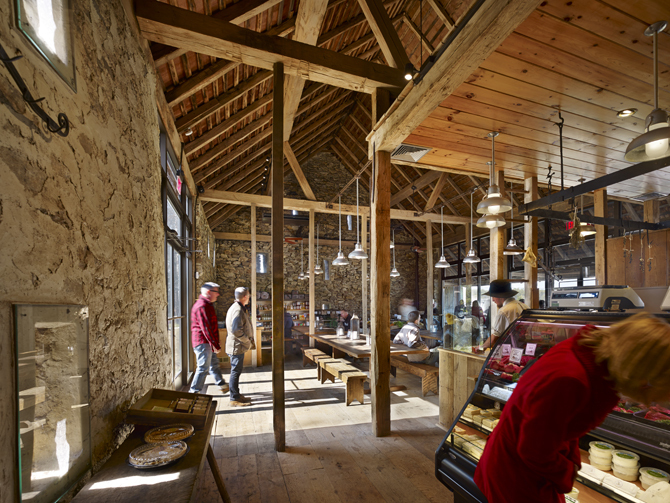 Acting as the hub of a reestablished 355-acre sustainable historic farm, the Wyebrook Farm Market occupies a renovated 18th C stone bank barn and features products raised on the farm and locally. 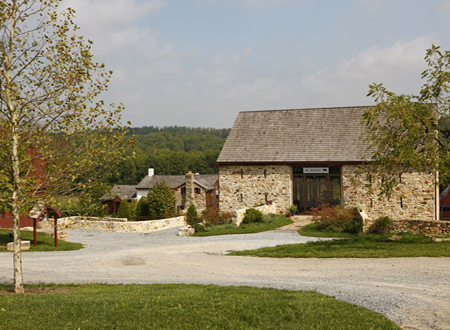 The heart of the Market is the butcher shop where meats from animals raised on the farm are sold. 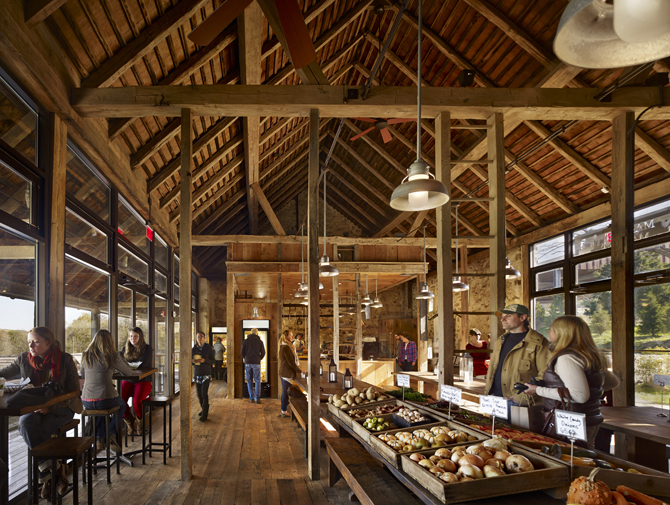 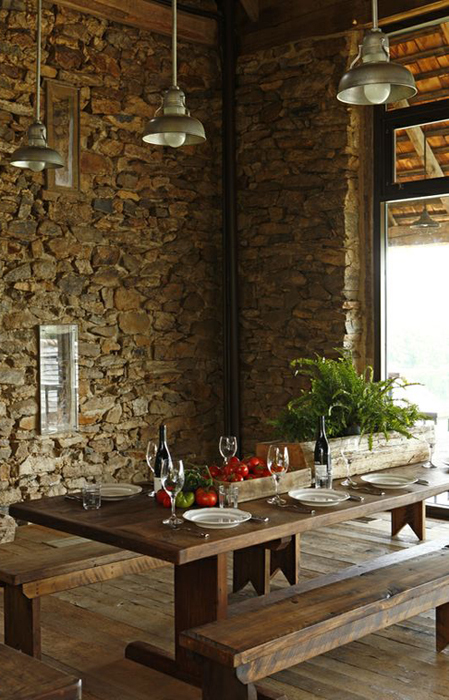 Following the owner’s concept of a market that “stopped evolving when everything went to the (modern) grocery store”, the material palette is in keeping with an historic barn: Original materials of exposed stone walls, wood post & beam construction, wide plank wood floors and reclaimed wood store fixtures come together to form the warm atmosphere of an 18th C barn. 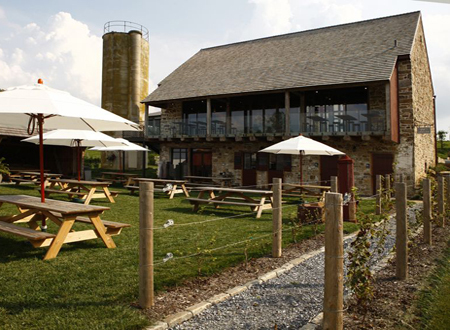 Working with a commercial kitchen consultant, the lower level of the barn (occupied by cows at the inception of this project) was transformed into the “engine” of the Market, with a full commercial kitchen serving both the Market Café and catered events.